For centuries, chocolate has been used for many purposes all over the world: from a currency during the Mayan empire, to homemade beverages consumed by farm workers in Central America for energy, as well as tortillas and moles in Mexican cuisine. 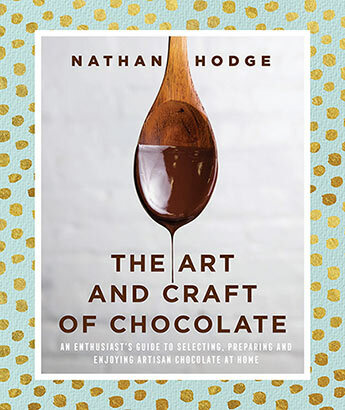 In The Art and Craft of Chocolate, world-renowned chocolatier Nathan Hodge shows how to hack the basic principles of chocolate-making at home using tools as simple as a food processor, a hair dryer, or a double boiler. In addition, he offers recipes for traditional moles from different regions of Mexico; traditional mayan chocolate drinks; cocoa as a meat rub; and various baked goods. The Art and Craft of Chocolate is a delightful and insightful read with impressive scope. It encompasses everything from growing and harvesting cacao (including sustainability and ethical production) to the history of chocolate consumption, and finally, recipes. I certainly learnt something new about one of my favourite treats, and I would like to try out a few of the recipes. For those really keen, the book even offers home hacks for preparing your own chocolate from scratch. Although, I am not sure I'm ready to attempt that much myself! This is a book that will appeal to all chocolate lovers. The only problem? It leaves you with definite chocolate cravings! 4.5 stars.